Sterling Volunteer Fire Department - Station 24 - Kincora Safety Center. 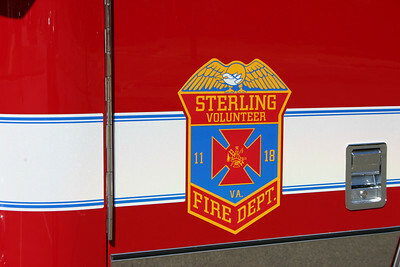 Sterling Fire also operates Station's 11 and 18. Engine 624 photographed at Station 24 not long after being placed into service in November of 2014. The first "new" engine for Sterling's Fire Station 24 located at the Kincora Safety Center just off of Rt 28. 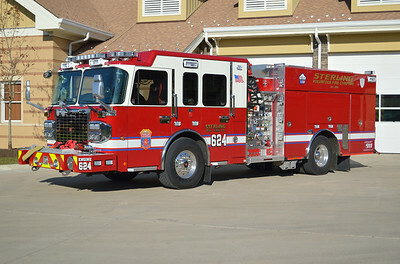 Engine 624 is a 2004 Pierce Lance equipped with a 1500 gpm pump and carries 1250 gallon of water. 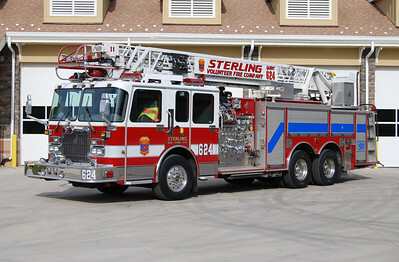 Sterling purchased the Pierce new and it originally ran as Engine 18, and then Tanker 618. 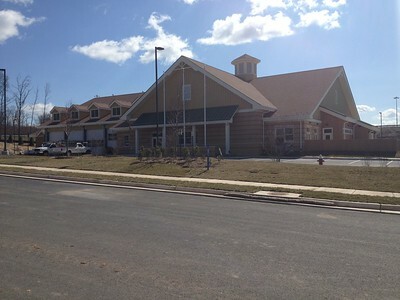 This photograph was taken in November of 2013 about a week after the new Kincora Safety Center opened. Sold Northmoreland Twp (Wyoming County, PA) in 2015. 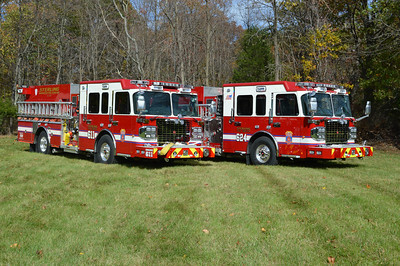 Sterling took delivery of two identical 2014 Spartan Gladiator/Smeal 1500/750/20 engines for Stations 11 and 24. Prior to the engines being delivered to Sterling, group photographs were arranged. Officer sides of Engines 611 and Engine 624. When these photographs were taken in October of 2014, Engine 611 was nearly finalized and ready for delivery. 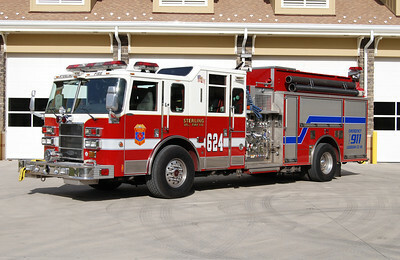 Engine 624 still had work to be completed, including mounting of equipment and some graphics work (adding Engine 624 on the front right bumper). When the Kincora Safety Center opened on November 9, 2013, Quint 624 was assigned to this station. 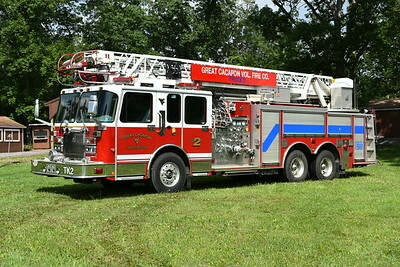 Quint 624 is a 2000 Spartan/Smeal equipped with a 75' ladder and a 1500/500. It previously ran as Quint 611 (note the "11" near the ladder tip). 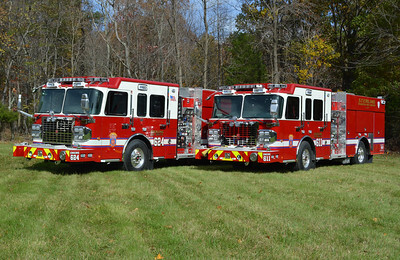 Sterling purchased two identical 2000 Spartan/Smeal quints. Their other unit (Quint 618) was sold in 2007 to the Carter VFD in Dale, Indiana where the Quint is the first due ladder truck at Holiday World in Santa Claus, Indiana. Sold to the Great Capacon VFD in West Virginia. 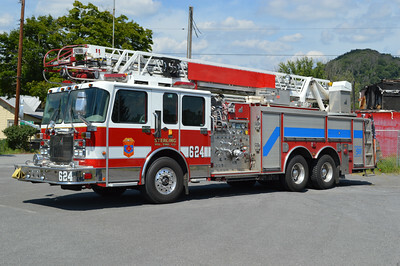 As a result of the fire station fire at Great Cacapon on July 5, 2016, the Sterling Volunteer Fire Company in Loudoun County, Virginia loaned Great Cacapon this 2000 Spartan/Smeal 75' 1500/500. Smeal s/n 7211. It was originally Quint 11 for Sterling, and then reassigned to Quint 624. This truck saw service at the Pentagon during 9/11. Originally on loan to Great Cacapon from Sterling, Virginia in Loudoun County, Truck 2 was purchased from Sterling in January of 2017. With the purchase came the Great Cacapon name on the truck. Truck 2 is a 2000 Spartan/Smeal 75' 1500/500 with serial number 7211. It was originally Quint 11 in Sterling, and then reassigned to Quint 624. Sterling purchased two identical trucks like this. June, 2017 photograph.